Wonderful Year-Round Home Close to Ocean Beaches! Located about 750 feet to your deeded-rights, association beach on beautiful Nantucket Sound, this spacious, 2005-built Colonial-style home is sure to meet all your needs! This turn-key, year-round, home has 4-bedrooms/3-full baths & large finished basement area. The 1st floor consists of a large bedroom, living room, dining area, kitchen, full bath & laundry closet. The 2nd floor has a master bedroom/master bath, 2 more bedrooms & full bath. Large .44-acre double-lot, with slight views of ocean. Natural gas heat & Central A/C. Gas fireplace. Home is being sold furnished. Home is NOT within the flood zone! 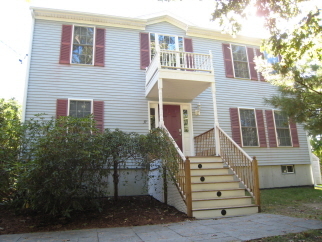 Solid summer rental history of $3,995 per week. A new 4-bedroom, underground septic system to be installed by the seller. A wonderful year-round/summer getaway and/or rental investment!